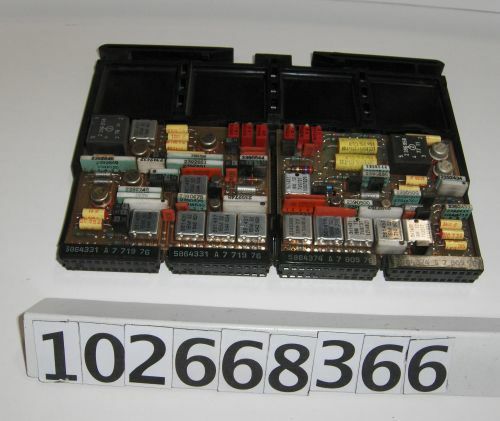 Two (2) SLT modules, type 5864374 in a black plastic carrier. 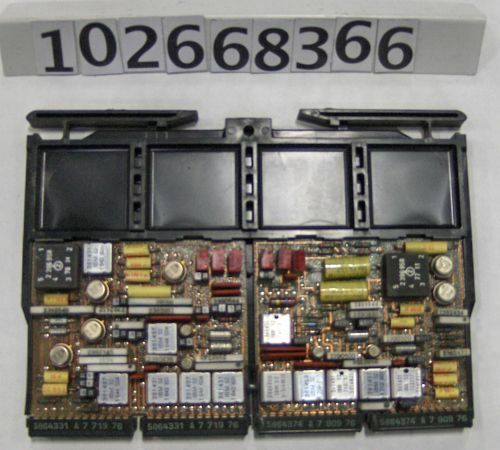 The obverse-side of the modules are covered with various components. The reverse-sides show solder joints and copper-colored circuit lines. Three stickers are attached to the right-side of the carrier, they read "N858 01A A1 B2 208," "B," and "N859 01A A1 B4 208."